With a decline in internal combustion engine (ICE) vehicle sales, and market shift towards EVs, a paradigm shift will occur within automotive manufacturing supply chain. Power grid is one of the largest and most disregarded aspect of EV ecosystem. Grid will have to cater to increased EVs by transmission and distribution capacity additions and strict power quality measures. Batteries are a crucial element of EVs. 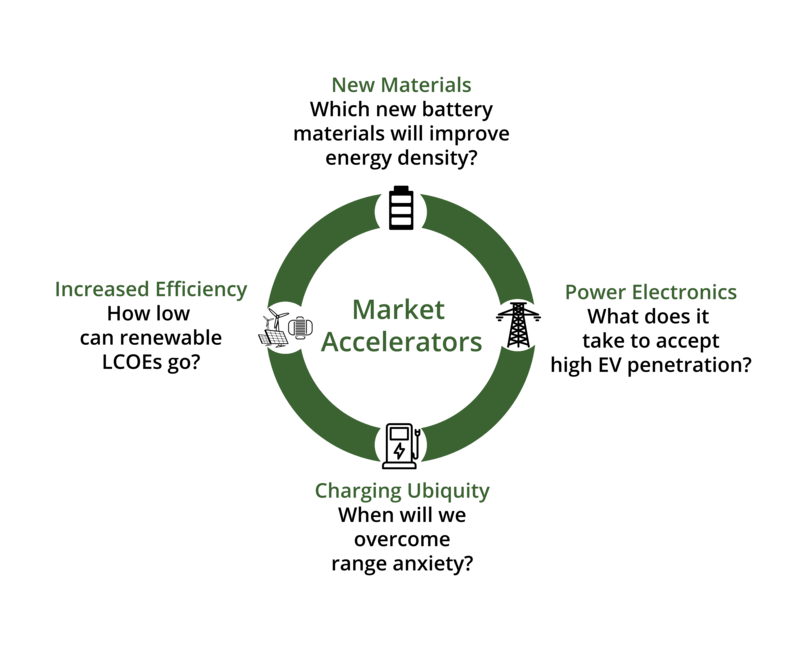 Material limitations and other technological barriers will need to be overcome for increased EV adoption. Planning and availability of public and private charging infrastructure will change dramatically in years to come. It is vital that renewable generation capacity meets its planned targets. Without renewables providing a significant share of electricity mix, use of EVs will only shift the carbon emissions from one source to another. For decision makers (company executives, division/product managers) whose business is directly or indirectly involved with EV penetration, it is crucial to look at all these industries simultaneously to predict the future developments with clarity. 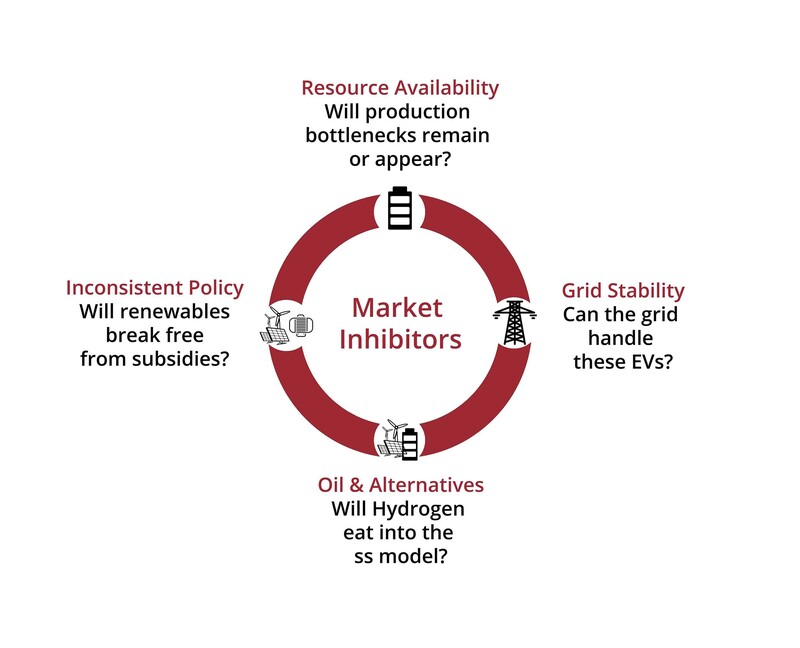 It is vital to understand the drivers and barriers to adoption of EVs within all these industries, and ask the right questions to make informed strategic decisions. Power Technology Research is embarking on a new field of research dedicated to the impacts of critical components on and by Electric Vehicles. PTR will leverage in-depth insight across five key themes affected by EVs, Automotive manufacturing, batteries, power grid and charging infrastructure. In order to provide a holistic picture, drivers and barriers to developments in each of these industries will be discussed, along with market outlook. The goal of this report is to equip our customers with information, and key drivers/barriers to keep an eye on while planning for future scenarios with increased EVs. Where will BEVs have the most impact? *Download the abtract below for a detailed Outline and list of countries covered. ©2018 Power Technology Research LLC.